Discount available! 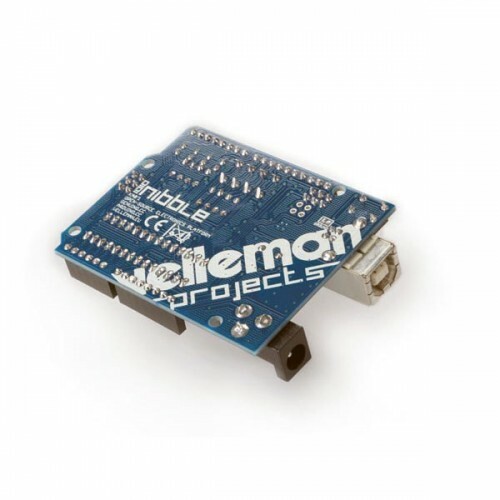 Recommend Nibble with Atmega328 - Arduinouno Compatible to your friends and get your Discount. Based on the ATMega328 microcontroller, Nibble is a fully compatible Arduino Uno card. In addition to having 14 digital inputs / outputs (6 of which can be used as PWM outputs), 6 analog inputs, a 16 MHz oscillator crystal, a USB connection, a power plug, an ICSP connector and a reset button, It has 4 LEDs and 4 buttons to start testing your first sketch. 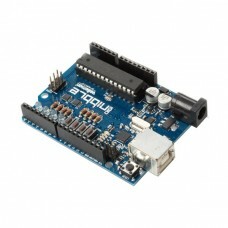 You program with the Arduino IDE. Warning! all the components contained in the kit must be welded except the SMD components that are already welded. This Voice Shield is particularly useful to activate the voice messages to the occurrence of a.. Compact driver LED for 4-channel, able to drive the 4 colors..